We can all probably use a breakfast recipe for busy schedules and on-the-go eating. These Oatmeal Almond Butter Breakfast Cookies check off the box for both of those needs. As a frazzled mother of twin toddlers, I often skipped breakfast out of sheer desperation and plain exhaustion. I’d whip up a bowl of oatmeal for the babies, guzzle a mug of coffee, and call it a morning. Unfortunately, the lack of effort began to show in my overall health. I was cranky in the middle of the day, my energy was kaput, and I was getting sick more often. I developed this recipe for Oatmeal Almond Butter Breakfast Cookies to pack as many minerals, vitamins, and beneficial fats into an easy-to-make (and eat) meal. When I tell you that these cookies will sustain you until lunch, I’m not lying—you won’t need more than one for breakfast. And when I say these cookies are packed with good stuff, I’m not exaggerating. Magnesium and manganese (found in the almond butter and rolled oats) are beneficial for bone health. There’s vast amounts of protein and fiber in most of the ingredients (like the oats! ), as well. B-vitamins, vitamin E, zinc, iron, and folate are others that are packed into this little cookie. While I came up with this recipe for my own sake, the twins developed a taste for them, too. Years later, it’s become a family favorite. It’s great, too, because children need many of the vitamins and nutrients found in this cookie. Wheat germ is an ingredient that you may or may not be familiar with. It is the embryo (sprouting section) of the wheat kernel, which is usually separated during the milling process. You can typically find it in the baking section of your supermarket. If you are unable to locate it there, check the breakfast aisle near the oatmeal and grits. Because it’s so high in essential fatty acids (the good fats), it has a shorter shelf life than wheat flours. Once you’ve opened the container, you’ll need to refrigerate it or freeze it to keep it from going rancid too quickly. Looking for more ways to use wheat germ? Wheat germ is also a wonderful add-in for smoothies, yogurt, shakes, and oatmeal, or for adding to muffin or bread recipes. I enjoy altering this recipe to compliment the seasons. Instead of using chocolate chips, I like switch it up and use dried fruits instead. Blueberries, cranberries, cherries, or raisins are some of my favorites. Changing the type of nut butter is an option, too—cashew, coconut, and peanut all work well. Just make sure you’re using room temperature nut butter, which will incorporate much better into the dough. These cookies are larger than traditional cookies—they are a complete breakfast, after all. To make them, I use a #12 ice cream or cookie scoop, which is just over a 1/4 cup (or 2 ounces). 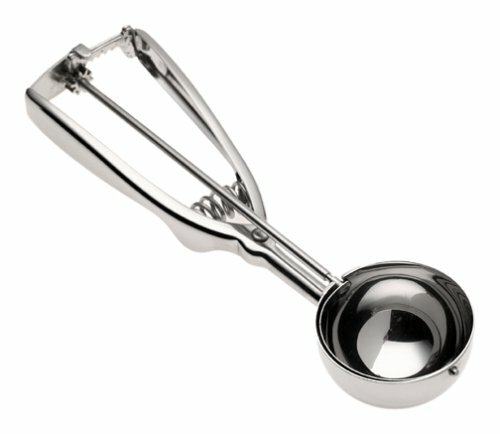 You can find the size of your ice cream scoop by looking at the number on the release lever in the bowl of the scoop. If you don’t have an ice cream scoop that large, lightly brush the inside of a 1/4 measuring cup instead with melted butter or vegetable oil and use that. Because the cookies contain wheat germ and whole wheat (which means a short shelf life), it’s best to bake and eat them within 48 hours. Since this recipe makes sixteen large cookies, unless you have a large family, you probably won’t be able to eat the whole batch before they start to perish. I recommend forming and freezing those you won’t eat right away (see below). I like to make a batch of the cookies, scoop them onto a prepared sheet pan, and freeze them until solid. I take the frozen, unbaked cookies and seal them in a heavy-duty freezer bag until I’m ready to bake. Then, I put them onto a sheet pan while my oven’s heating up, and pop them in the oven as soon as it’s warm. I add a minute to the total bake time to make sure they’re baked all the way through. While you can certainly freeze the cookies after they’re baked, I find that they tend to taste stale after thawing. This is why I prefer freezing beforehand and baking to order, so to speak. The almond butter will blend into the batter more easily if it's room temperature. If you forget, just warm it for a few seconds in the microwave to soften. Peanut butter or another nut butter can be substituted for the almond butter. 1 Preheat the oven: Preheat your oven to 350°F. Line a sheet pan with parchment paper or a silicone baking mat. 2 Mix the dry ingredients: Combine the rolled oats, flours, wheat germ, baking soda, salt, and cinnamon together in a large mixing bowl. Set aside. 3 Make the cookie dough: In the bowl of a stand mixer using the paddle attachment (or using a hand mixer), mix the almond butter, brown sugar, and vanilla extract at low speed until smooth. 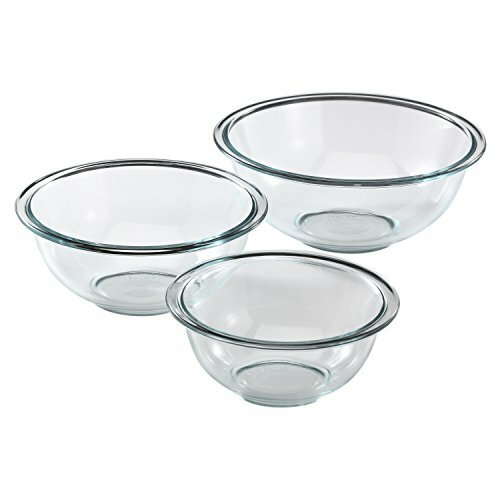 With the mixer still on low, add the eggs, one at a time, to the bowl. Scrape down the bowl after each egg is blended into the batter. This helps the mixture to stay smooth and uniform. Add the water to the bowl and mix on low until the batter no longer looks soupy. Gradually add the flour mixture to the batter, stopping the mixer to scrape down the sides of the bowl. Mix again for one minute to make sure the flour is completely blended in. Gradually add the chocolate chips to the dough. Mix for 30 seconds more still on low speed. 4 Scoop the cookies: Using a large (2 ounce) ice cream scoop, or a lightly greased 1/4 measuring cup, scoop the dough onto your prepared sheet pan. Slightly flatten each cookie with the back of your scoop or measuring cup. 5 Bake the cookies: Bake for 15 to 18 minutes, or until the outer edges of the cookies are slightly browned and the centers are puffed. 6 Cool and store the cookies: Remove the pan from the oven and allow the cookies to cool slightly (about 5 minutes) before enjoying. Store the cookies in an airtight container for up to 48 hours. (See headnotes for freezing instructions. Hello! All photos and content are copyright protected. Please do not use our photos without prior written permission. If you wish to republish this recipe, please rewrite the recipe in your own unique words and link back to Oatmeal Almond Butter Breakfast Cookies on Simply Recipes. Thank you! I made these and while the flavor was awesome once cooked, the dough was so hard it almost broke my mixer. I stopped using it and mixed with my hands instead. I would like to see this recipe modified to include ingredients by weight. Different cooks can measure so differently. Different mixers will respond differently to the dough, sorry to hear it was too rough on yours. As much as I agree on the weighing ingredients (pastry chef here), we try to write our recipes to accommodate those who may not have a scale. The addition of water would help to thin out the cookie dough recipe. I do hope you enjoyed the baked cookie in spite of the thickness of the unbaked dough. I’m not sure how well the ground oats would work in place of the rolled oats. I feel like it would make them more gummy than they should be. Can you do half rolled and half ground? Do you have the nutrition information for this recipe as written? Also, do you happen to have something similar that has pumpkin as an ingredient? Hi, Judu! We don’t currently calculate nutritional information on our recipes. I’d recommend using an online nutritional calculator like this one. I’ll ask Marta to reply about making a pumpkin version. If you replace HALF of the almond butter in the recipe with solid pack pumpkin (canned pumpkin), that would work. I used GF oat bran. Can you substitute peanut butter for almond butter? Hi, Linda! Yes, peanut butter can be substituted. Enjoy! I put wheat germ in meatloaf instead of bread crumbs…perfect and healthy!! Awesome way to use wheat germ! I’ll have to try that soon! These sound amazing! I am looking forward to trying them asap. Do you think it would negatively affect the cookies to decrease the amount of sugar? It’s practically the same amount of sugar I use in regular choc chip cookies, and though there’s awesome stuff in these, it still seems like a lot of sugar. Thanks! I wouldn’t reduce the amount of sugar, Jennifer. While it may seem like the same amount as you would use in your chocolate-chip cookies, there are a lot of other ingredients (wheat germ, oats, and two types of flours) that are probably not found in your standard cookie recipe. It will also cause the cookie to by drier than normal. It’s my pleasure, Jennifer! I hope you enjoy them! Make sure the nut butter you use is unsweetened, but this recipe will still have a lot of sugar in one serving my opinion. Would substituting peanut butter work ok? Yes! I actually began making these with peanut butter, so it would work perfectly, Cassandra! The recipe says almond, coconut, or peanut-butter would work equally well.